Better performance and improved fuel economy. Just what customers want. What happens when the fuel system and combustion chambers become dirty with built-up carbon, gum, varnish and other contaminants? Nothing but a poor performing engine, less fuel economy and higher emissions. 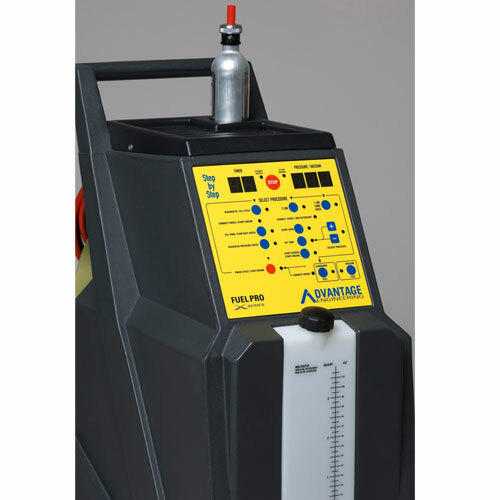 Help your customers maintain peak engine performance and fuel efficiency with the ADVANTAGE FUEL PRO system. 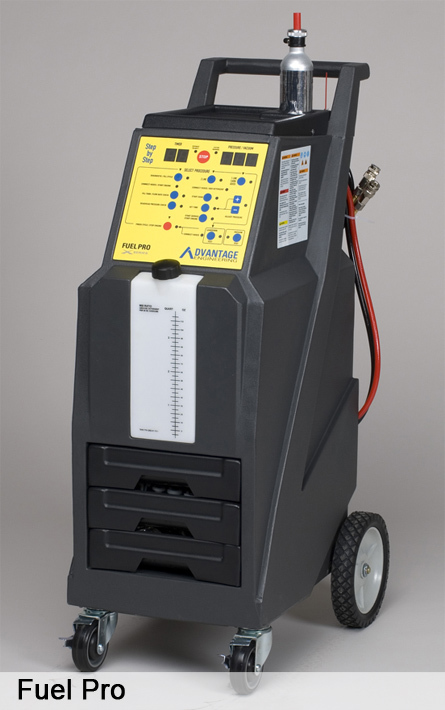 This easy, safe and quick system represents the most technologically advanced method for cleaning harmful fuel related contaminants from gasoline internal combustion engines. 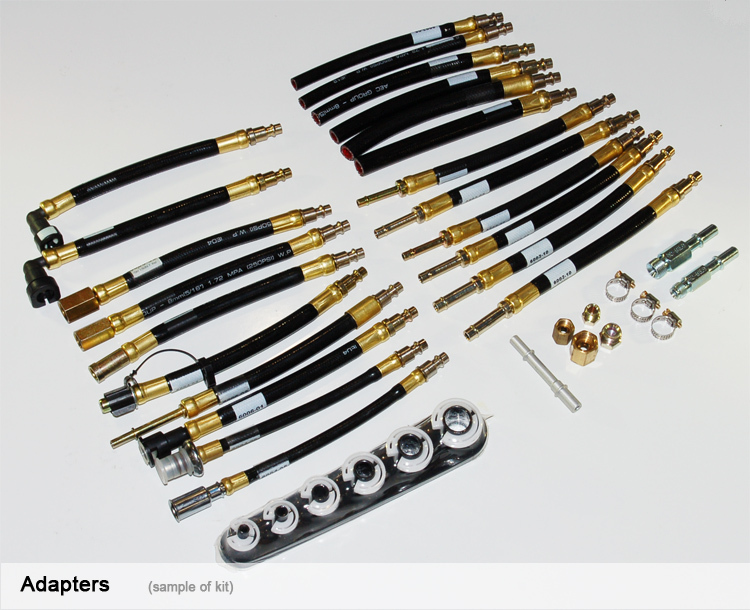 Fuel system cleaning just got a whole lot easier. 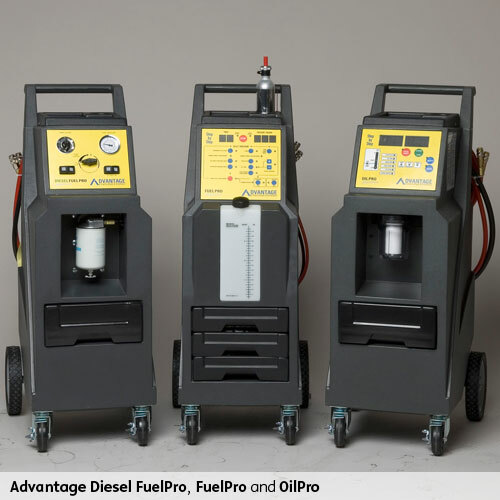 With specially formulated Advantage Engineering Petrol Fuel System Cleaning Solution and Filters, the FUEL PRO system provides comprehensive way of maintaining optimum fuel system and vehicle performance, fuel delivery, and reduced exhaust emissions. 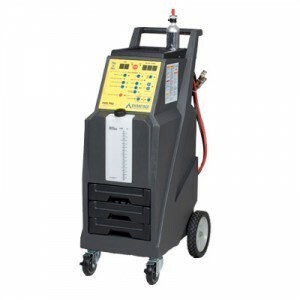 The FUEL PRO system has built in diagnostics, pulse cleaning, and cleaning protocols for one and two line systems. And best of all, it’s so easy to use, senior technician skills are not required to perform the service. AEC backs its products with a limited 1 year warranty, ongoing training and responsive service staff. We proudly design and build all of our equipment in our Santa Ana, CA facility to insure our customers the highest level of engineering and support. Why Fuel Pro from AEC?